One day in 1907, a young couple decided to take a chance on Danville’s growing textile businesses and opened a store on Craghead Street, across from the Golden Leaf Prizery. Annie and Benjamin Rippe sold sundries, buttons and fabrics, and also made hats. Rippe’s was born and remains a family-owned and operated business in Danville’s downtown 110 years later. The current owner and president — Ben Rippe, the third generation of the family to run the store — smiles as he thinks about his grandparents taking advantage of Danville’s boom-town days. In that location — across from the former Kresge Department Store, now Jackie’s Beauty Supply, in the building that now houses Love Wig — stock changed from fabrics and buttons to ready-to-wear clothing, though Ben Rippe’s grandparents still made hats. “It was a more affluent time,” Ben Rippe said. In 1946, Ben Rippe’s father, Murray “Buddy” Rippe, was running the store with his wife, Esther. He learned from his landlord the building was being sold to Peoples Drug Store. Ben Rippe said his father built the building that now houses the clothing section of the store and decided he wanted to add sportswear to the lines of better-quality fashion apparel the store carried. Annie Rippe was horrified. “She said, ‘Who will buy that? People want dresses!’ but Dad went ahead and it bettered the businesses,” Ben Rippe said. Elegant spiral stairs led to the upper story, where shoes were sold initially. But, Ben Rippe said, the man who leased the space didn’t do well and his father leased the space back and used for clothing and, eventually, bridal fashions. Ben Rippe took over the store in the early 1990s, and by the mid 2000s decided to discontinue the bridal department. “It was only breaking even,” he said, and bought the building next door to add shoes back into the store’s inventory. “I felt Danville needed fashion casual shoes,” he said. “People come from all over to buy these furs,” Buddy Rippe said in 2007. Rippe said about half of his shoppers come from surrounding areas — such as Martinsville, South Boston, Chatham and Gretna — while about 30 percent comes from Danville. The remaining 20 percent comes from people who have heard about his store from friends or grew up here and return to shop. 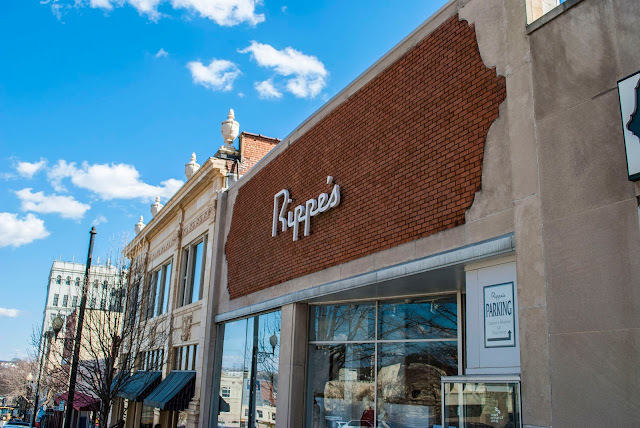 “Throughout all the changes we’ve seen over the past 110 years, Rippe’s was always there, always stable,” Larking said. “They kept the store relevant all those years and it continues to be a great anchor store in the River District. Larking said he has friends in Yadkinville, North Carolina — about 100 miles from Danville — who are regular Rippe’s customers. While Ben Rippe is passionate about selling the best possible merchandise, he also just likes what he does. Betty Jo Foster, interim president and CEO of the Danville Pittsylvania County Chamber of Commerce, said she has shopped at Rippe’s for 50 years, and even purchased her wedding gown there. A fourth generation has now joined the store. Sam Rippe, Ben Rippe’s son, graduated from Virginia Tech in July and has been working at the store since. 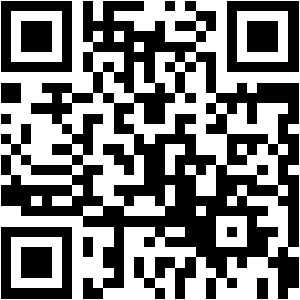 He has introduced a T-shirt line and gift department, and is setting up a new software system. “We’re working on bringing in more young people,” Sam Rippe said. Both Ben and Sam Rippe said this has been a busy month at the store, getting ready for their anniversary sale and celebration — which included a drawing for a $110 gift card during the River District Sip-and-Shop on Thursday, part of the festivities planned for the River District Festival. Ben Rippe said having well-trained staff, familiar with the items carried through in-house classes, product information meetings and daily informal chats. The store carried clothing in sizes 2-24W and shoes in sizes 5-11. “We all know what runs small and what fits full,” Sam Rippe said, referring to the constantly-updated training staff gets in an effort to serve their customers better. “We take pride in our work, service and the products we sell,” Ben Rippe said. Sam Rippe said he looks forward to learning everything he can about the store, and is pleased to be back home. Denice Thibodeau reports for the Danville Register & Bee. Contact her at dthibodeau@registerbee.com or (434) 791-7985.